Meet the handsome and charming Yoshi. 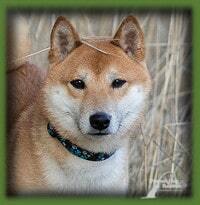 Yoshi is a red, 2 year old Shiba Inu who weighs approximately 26lbs. Yoshi is just the right size to be able to hop in the car and hit the road with you comfortably while being durable and strong enough to hit a good long hiking trail with you. He is fearless, he is an adventurer and he is very smart…keep on reading to see if you think you can keep up with him! 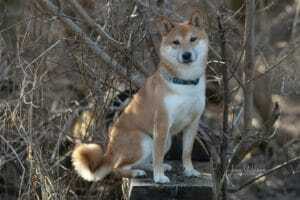 Yoshi came to us from an Ontario shelter where his previous family surrendered him. It seems Yoshi will take matters into his own hands to fill his days with exploring and adventures if you don’t provide the mental and physical stimulation he needs. After escaping a number of times and winding up in doggy jail, Yoshi found himself homeless. That might be a sad situation, but the way we see it, it gives Yoshi the chance to find the right match for him, a family that is active, that wants to invest in training him and who is ready and able to keep him feeling fulfilled and secure so he won’t escape again. so if he is telling you something doesn’t feel right to him, it is best to pay attention. That being said, Yoshi has shown no signs of aggression with any person we have come across, instead he would prefer to just keep his space and take his time assessing the situation. Yoshi has gotten along beautifully with the dogs and cat in his foster home. He can be a bit pushy but when he has been reminded by his foster siblings to settle down and be more respectful, he takes the feedback well. 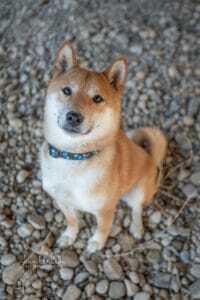 He would do well in a home with another dog that is balanced and has good communication skills, and perhaps a little more on the laid back side to help balance out Yoshi’s energy level. Yoshi shows interest in dogs we come across on walks, but is never ‘over the top’ when he sees them. On two different occasions though, we have crossed paths with some dogs that were behaving in ways that looked aggressive to Yoshi. Yoshi’s response was to put himself right in between his foster Mom and the dogs walking by on the other side of the street. He did not react vocally or physically, he was very self-controlled, he just placed himself in a position of protection and observed the dog walking by. Yoshi is not a ‘pick a fight’ kind of dog, but he is bold and courageous and is not a pushover either. vocalize some displeasure for a few minutes before settling in when he realizes you are leaving. Other than that, Yoshi rarely lets out a peep. He is quiet and once he has had his exercise needs met, he is quite the snuggler. He is happy to curl up on the couch beside you and have a nap. Understand though that meeting his exercise needs is going to take more than a 30min walk…Yoshi is athletic and active and needs to get that heart pumping and that blood flowing with some good cardio/running sessions. For this reason, he is not going to be suited for a family that isn’t already living an active, ‘outdoor activity’ kind of lifestyle. Like we stated earlier, he needs his daily adventures to satisfy his desire to roam…he also needs to have these adventures on leash. Yoshi is not a dog that can be trusted off leash at this point. Yoshi is a strong willed guy. He needs clear, confident and consistent leadership. If you are wishy washy in your expectations with him, he will take advantage of the weak spots. He is incredibly intelligent, maybe not in the obedience ring sort of way, but he definitely has street smarts and we like to say he is a master of human psychology…you can see the wheels turning as he is figuring people out. Yoshi can be a bit bossy at times and quite energetic, so a home with small children under the age of 12 would not be a good match. That being said, he is very loyal and once he knows you have things under control, he is easy to manage and he will be your ride or die kind of guy. He is awesome, we cannot say enough good things about Yoshi, but he is not the dog for a first time dog owner. 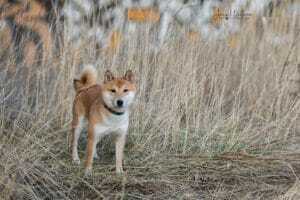 We are looking for a family that has breed experience with Shibas or dogs of a similar nature. 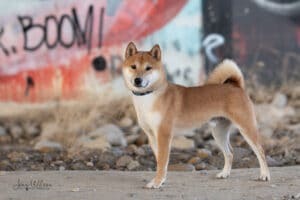 Yoshi hasn’t had a lot of investment put in to him in terms of training it seems, walks on leash are still a work in progress, but he is responsive and picks things up with a strong leader. of the office like nothing happened. His second visit was even better. His future family should just be aware that he does have some ear sensitivity when it comes to treating it; much of his anxiety was anticipation of what was going to happen vs actually undergoing the treatment. Other than that he has a clean bill of health. He has shown no sign of food allergies or aversions has a healthy appetite and is not picky about what he eats. Having Yoshi in our care has been one of the coolest experiences because he really is an outstanding example of what his breed is. He is not your average dog, he isn’t necessarily a big people pleaser, but with the right family, he is just going to continue to shine and his comical nature and ‘partner in crime’ approach to being part of a family is going to provide years of laughter and devoted companionship. If you think you have what it takes to keep up with this guy, drop us a line…we’d love to hear more about you! Before you consider adopting, please read about Pound Dog Rescue’s adoption process and policies.